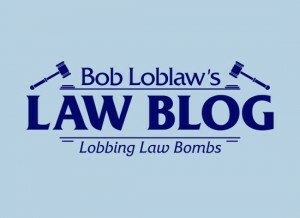 Sometimes it can be a tough venture to come up with ideas for link building to a lawyer site. These aren’t exactly the types of sites that attract links on their own. As some might put it, lawyer sites are among the worst on the web. Often they are the most promotional and hard pressed to seek public affinity, even if they provide excellent free resources to potential clients. Looking back on when I worked in-house for a large plaintiff’s firm, I built over 5,000 links in a year to their flagship site. It wasn’t easy, until I made it a point to educate stakeholders in the idea. Not just the attorneys, but everyone at the firm was a stakeholder, and one that could discover link opportunities. Once they understood the potential of what links they could glean, it became a competition – which lawyers love. We owned any and all markets in the state and in some national campaigns. In each of our core markets, we owned a piece of local top 3 SERPs and dominated organic results. Everyone had a cheese blog of valueless regurgitation of legal news and interests. What could we do that was different? What could get us links that our competitors couldn’t? How could we stand above the banality found in legal search results? Mojo Nixon wanted to Destroy All Lawyers, and I am inclined to agree. All except the one who employed me at the time. I wanted to destroy them all in the SERPs. The main site was technically sound and had very little need for improvements. We were competitive in the SERPs, but this particular band of barristers wasn’t going to be satisfied with competing. They wanted to dominate, even referring to other firms as inferior. [tweetthis]So how did I get a group of stodgy, uptight individuals to become zealous link advocates? [/tweetthis] I played to their competitive nature and challenged them to create more link opportunities than the others. Here are some of the best resources I gave them to win in the court of public opinion and the currency of the search engine results realm. This seems like a slam dunk case, but before this campaign, we weren’t doing this. All of these guys have been to law school, right? Undergraduate at one of the major schools here in the area, and law school at one of the many schools offering such a program. Boo-yah! Each lawyer had instant access to two .edu links. Most of the law schools required an annual membership fee, so we “bought a few links” – so what. These links were placed in the public directory, and where possible we would submit that attorney’s profile page as the link on the alum site so it would be a deep link and because each attorney had their expertise in an area of practice. The CEO of this firm attended Duke University School of Law, and is an Iron Duke: a distinguished alumnus who pays a ton of money for first dibs on tickets and a convenient parking spot at the events is dedicated to enriching the lives of student-athletes. So there was an opportunity for another link on that site. There are a ton of Blue Devil basketball forums that are aged a decade or so. We looked into a few of them that are moderated locally and set up profiles on them. Because we advertised heavily on television in the area, we had a tagline that everyone here recognized. I would monitor conversations on these forums and where applicable, I would interject the boss’s thoughts on the men’s basketball team or our tagline, as it applied to basketball. We became a normal part of discussions in that forum; other guys went on to do their own similar campaigns with their already active profiles for the sports forums of their alma mater. This project took a bit of help from my good friend Garrett French, who coined the term “Preciprocation” back in 2009. We already gave more than $250k in donations as an organization, so why not capitalize on the link currency left on the table from these transactions. The problem was how to organize the outreach and give each of these civic and philanthropic organizations a reason and a place to link to us. Garrett suggested making a page with a short blurb about each charity and what it meant to us. On each description, I placed a link to their volunteer or donation page (or both if possible). I then outreached to every org and never even asked for a link. I simply asked them to share with their friends. Some of those gleaned more than one link apiece; the highest one gained us 12 links. The interesting dynamic of this is how they may have been national associations, but each had a local chapter/site. Gangbusters! Many of the lawyers attended church, how they didn’t burst into flames upon entry, I am not certain. Just kidding! A lot of the lawyers at the firm took active roles as youth ministers and community leaders within their congregations. As such, many of them had profiles on the church website. Instead of asking the church webmaster for a link, we instead offered free legal counsel to whatever local cause the church wanted to contribute. In doing so, we made an opportunity to link to the attorney profile on our site because it had their contact information, including their cell phone numbers, making it an ideal way for any patron to contact them. Some may look down on this tactic, and that’s okay. It is not for everyone. Some of the attorneys wanted to keep their religious beliefs out of their professional life, so we only used it in instances where the attorney was comfortable doing it. Some attorneys were heathens and their god was money, so we asked their bank for a link instead (again, just kidding). This was something we would negotiate in the advertising package with the team. For the local AAA affiliate of the Tampa Bay Rays, we shared the same building and they hadn’t considered giving us a link until we asked. Now every time we renewed our advertising contract, we’d get a text and display ad link on their site. We did the same for the AA baseball teams in other towns and even the NHL team site in a nearby town. Another instance where we already purchased advertising, but didn’t really leverage a link out of the deal was with local television stations. We advertised heavily on TV over the past decade, so we had plenty of clout in terms of setting terms of contract. We never had any problem dropping serious coin on time slots, so we didn’t have a problem paying for dofollow links as advertisers. Some of the stations wanted to charge us extra for the links, and that was fine. To get our business, some of them would offer to cite us as legal experts when their journalists needed a reference or legal commentary. Building relationships with the television station beyond the ad sales staff proved to be beneficial. 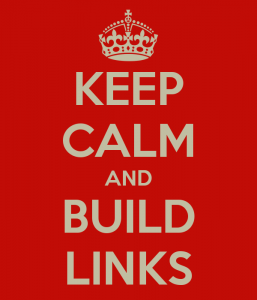 Something helpful to your potential clients can go a long way in terms of building links. The best most lawyer sites can do is information. 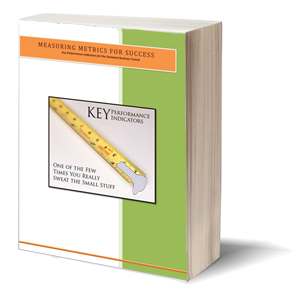 Here’s the rub, most of your potential clients don’t care to read it because it isn’t interesting. Subrogation liens, contingency fees, and contributory negligence aren’t riveting things to read about. Think about the pain points of your potential clients and think about the kind of boring content that your competitor cranks out on his ‘blawg’. Don’t do that to yourself, or the people you want to hire your firm. Present something so helpful that your competitors want to link to it (and then copy it, welcome to legal marketing). We sent out an overlay in direct mail pieces that you could use to decipher your police accident report. Why not have that online? Yes it cost a little in development, but the link returns were exponential. We had interactive graphics that helped people easily understand their workers comp rights and social security rules instead of the same old bullet list that every other firm had. We found ways to get clients to understand the case against them brought on by the insurance companies’ need to profit over policy holders with videos and interviews. Do it up right, lawyers. In the digital age, we can tell by your website if we want to hire you or not. Frankly, most of you aren’t worth hiring, much less being linked to. Author’s note: Please for the sake of your job or company, become VERY familiar with bar regulations in your firm’s jurisdiction. Under no circumstances should you jeopardize the law license of any of your attorneys. You’ll find that most state bar associations have their marketing regulations clearly posted. If your firm doesn’t have sufficient knowledge of these regs, please seek counsel with a firm who does, or directly from the state bar for clarification. Lawyers should disclaim everything for a reason, you should CYA as well.